Every year, Women in Technology (WiT) honors women succeeding in their careers while also mentoring the next generation of leaders. For the Annual Leadership Awards, colleagues nominate women in the Washington, D.C. technology community for their extraordinary vision, talent and mentorship. 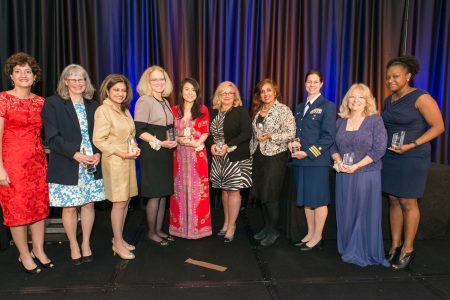 WiT honored the finalists at the Annual Leadership Awards gala May 19 at the Hyatt Regency in Reston, Virginia — and announced the winners. Each finalist is a leader and innovator — a woman (or company) known for breaking down barriers. The honorees’ talents and accomplishments are an inspiration not only for women in technology careers, but also for all women in the workforce.